The Greater Raleigh Chamber advocates and supports transportation and infrastructure priorities through the Regional Transportation Alliance business coalition. 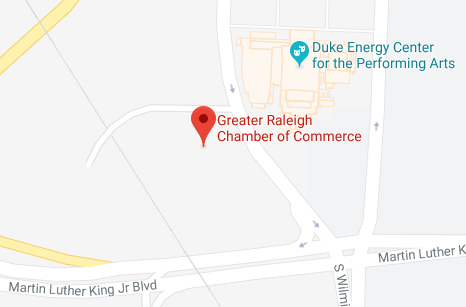 As a program of the Chamber, RTA is a separately funded membership group of nearly 100 companies across the Triangle and 23 member chambers of commerce in central North Carolina. It is the regional business voice for transportation initiatives and policies including strategic funding, transit, freeways, streets, air service, and rail. Keep your employees and our economy moving by joining the RTA business leadership group. Contact Natalie Griffith at natalie@letsgetmoving.org or 919.664.7062 with questions.